The largest and most affordable Online Children's Bicycle Bar Ends Shop! 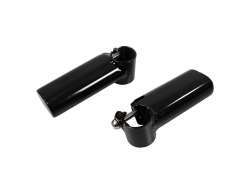 Children's Bicycle Bar Ends shop the largest and most affordable! Do you want to buy Children's Bicycle Bar Ends online? Hollandbikeshop.com has the Bar Ends for Children's Bicycles you're looking for. With these cheerful bar ends on the handlebars, any children's bike is 'ready to go'. The proper bar ends will ensure a good riding position, less vibration during a ride and improved steering precision. Even for the smallest cycling enthusiasts, these factors can make a huge difference. At Hollandbikeshop.com you can find a wide choice in high-quality Children's Bicycle Bar Ends by brands like Alpina. In our wide range of Children's Bicycle Parts on Hollandbikeshop.com you'll find bar ends for the children's bike in various colors, sizes and models. From 16 to 26 inches, in various colors and made of materials like aluminum, plastic or carbon. You're sure to find the bar ends for your little future champion here. 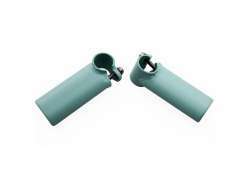 Hollandbikeshop.com is dealer of Children's Bicycle Bar Ends and has a large and affordable range. 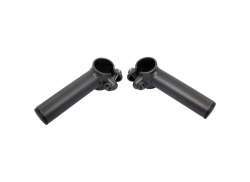 We also often have Children's Bicycle Bar Ends on sale or in our outlet, so keep an eye on our sale button. The largest and most affordable Children's Bicycle Bar Ends shop!